Luxury features, economy pricing. We always look for this combo when we shop – and if we’re careful, our purchases usually end up exceeding our expectations and lasting us a long time! 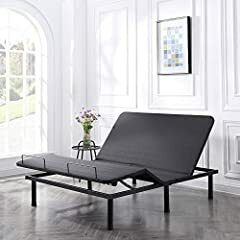 That’s what’s happened with this adjustable bed platform from Classic Brands. 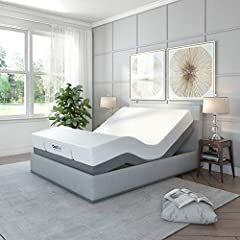 For a third of the price of luxury brands, we found this well-built extra sturdy platform that came with a bunch of features – USB ports to charge your phones while you sleep, customizable head and foot elevations, pre-set positions for working/reading in bed, or watching TV, and even vibrating motors that help you relax after a long day! 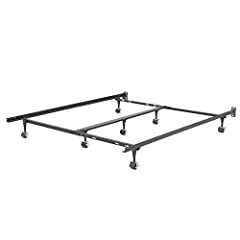 This is definitely the best adjustable bed frame in the market. Check out our video as we walk you through setting it up – it was easy and took us about half an hour. Hit subscribe if you like what we share with you! Very nice review! Is this the queen or king size? How strong is the massage option? 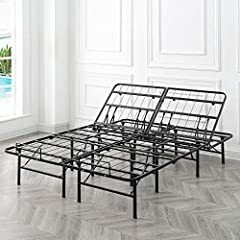 I’ve tried some bed frames in store which worked well, however I’ve seen this one online for much cheaper though the reviews indicate the massage may not be as strong as other brands, or the consumers themselves were expecting a stronger massage without much information about this feature prior to ordering.